Mr. Fleishman is professor of law and public policy at the Sanford School of Public Policy at Duke University. He served as Legal Assistant to Governor Terry Sanford, the School’s namesake, in 1961-65. 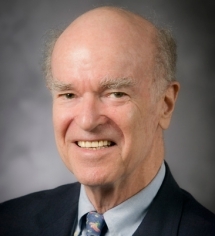 He joined the Duke faculty in 1971, was founding director of what is now the Sanford School of Public Policy, and has served Duke as vice president, senior vice president and first senior vice president. Taking part-time leave from Duke from 1993-2003, he became president of The Atlantic Philanthropic Service Company (NYC), the U.S. program staff of Atlantic Philanthropies. Mr. Fleishman is a Fellow of the American Academy of Arts and Sciences and the author of The Foundation: A Great American Secret--How Private Wealth is Changing the World, published in 2007 by PublicAffairs Books and released in paperback in 2009. Another book, which he co-authored with Tom Tierney, chairman of The Bridgespan Group, entitled Give Smart: Philanthropy that Gets Results, was released in March 2011. His latest book, Putting Money to Work: Philanthropy Now or Investing for the Future? is expected to be released in Fall 2017. He is director of the Sanford School’s Center for Strategic Philanthropy and Civil Society and Director of the Sanford School’s Samuel and Ronnie Heyman Center for Ethics, Public Policy and the Professions. On Founders’ Day, October 1, 2009, Duke presented Mr. Fleishman with one of the University’s highest honors, the University Medal for Meritorious Service. He was Chairman of the Board of Trustees of The Urban Institute until stepping down in May 2014, and he currently serves on the Board of Directors of the Ralph Lauren Corporation. On a lighter note, he was the Wine Columnist for Vanity Fair for eight years.